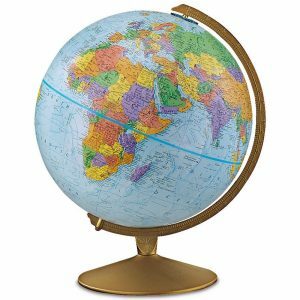 There are many different types of globes available with a variety of finishes, projections and styles. We have a variety available in store including Replogle, Blue Ocean and National Geographic. Follow this link to see a sample of our Globes!